When launching a tin-can published course (in programs such as Articulate Storyline and Adobe Captivate), you need to specify where you want to send the data. The home for this data is called a Learning Record Store (or LRS). 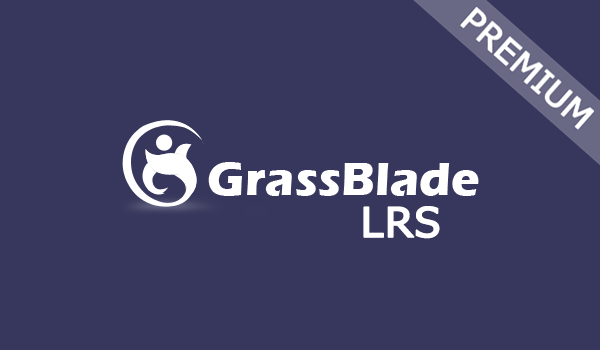 GrassBlade LRS is the most sophisticated WordPress integrated LRS on the market. Using GrassBlade LRS and LearnDash together allows you to not only launch tin-can created courses, but to track useful data metrics along the way. Track data and award users: Track user activity within programs like Articulate Storyline, Adobe Captivate, iSpring, and H5P. Award LearnDash certificates based on actions performed inside these course packages. Integrates with LearnDash “Mark Complete” button: When you insert a tin-can course (i.e. Articulate Storyline) into a LearnDash lesson, you can prevent the user from clicking the “Mark Complete” button until the Articulate module has been fully complete. Import options: Import tincan.xml files in order to show Course/Activity names and specific quiz answers instead of IDs in Articulate Packages. Self-hosted for your convenience: Forget monthly fees, you host the LRS on your own server so you have complete control. Expert support included: Receive one-year of support from Next Software Solutions, early adopters and contributors to the tin-can API specification.